You no longer need to wait 30 minutes after your scheduled pick-up time to check on the location and arrival time of your AAR vehicle. You can now call any time after your scheduled pick-up time. For example, if your scheduled pick-up time is 9 a.m., you can contact Transit Control at 9:15 or 9:25 a.m. to ask about your vehicle. Please don’t call more than is necessary. Excessive calling makes it harder for others to get through to us. It is necessary that you wait at the pick-up site until the end of the 30-minute period. When unexpected things happen before or during your trip (vehicles blocking your pick-up location, traffic jams delaying your driver), staying in touch with AAR helps solve problems. That’s why we urge you to have an AAR eligibility representative enter your cell phone number into your permanent record. Call 877-337-2017 and press #1 for English and #1 to speak to a representative. Remember to keep your cell phone on before and during your AAR trips. Look at the expiration date on the front of your AAR ID card. Unless you have temporary eligibility, which lasts three to 12 months, the date will be some time within the next three years. About two months before that date, AAR will send you a recertification packet to re-apply for service. It’s a good idea to send back the completed application to AAR at least a month before your current eligibility expires. That way, you won’t lose service while your new application is being processed. When a wheelchair user transfers to a seat, his/her wheelchair occupies another seating position. AAR now fulfills so many trip requests that there may not be a seat available to permit a wheelchair user to transfer to a seat. Planning to Buy a New Wheelchair or Scooter? Buyers Beware! Are you planning to buy a wheelchair, power chair or scooter? If so, read on. 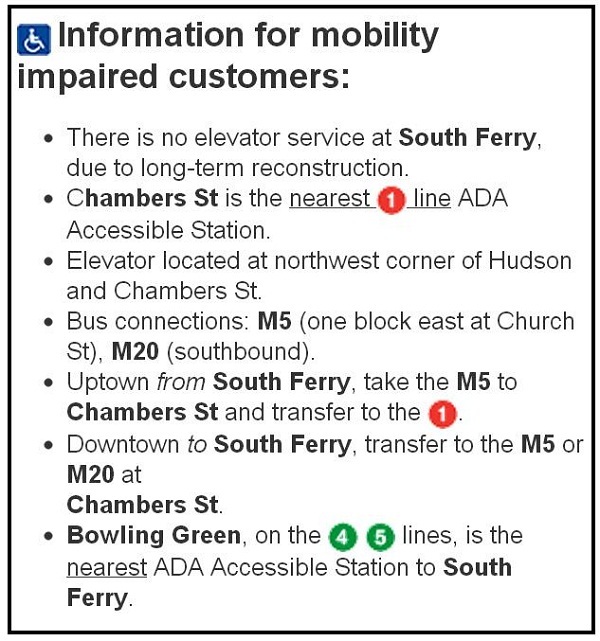 If you wish to travel on NYC Transit's AAR vans, your wheelchair or mobility aid must fit in the required clear space that federal regulations require for lifts. The federal required clear space for a wheelchair or mobility aid is a minimum 48-inches long by a minimum 30-inches wide and the total weight for you and your mobility aid/device can be no more than 600 lbs. AAR has purchased new vans with lifts that are 51 inches long and 33.5 inches wide and can lift 800 lbs. In order to fit within these dimensions, your mobility aid must be less than 51 inches long and less than 33.5 inches wide. If you wish to travel via AAR between midnight and 4 a.m., you MUST reserve two days in advance. If reserving two days in advance for such late-night trips is causing you difficulty, please contact Denise Ann McQuade at 718-393-4131. Beginning in the first quarter of 2007, all AAR applicants and customers being recertified will be required to have an in-person assessment. Details about the new application process will be provided in the near future.